If you liked this show, you should follow Voices For Racial Healing. Join me as I chat with and play some songs by Bethlehem and Sad Patrick, members of the Philadelphia-based musical duo Be Sad Music. 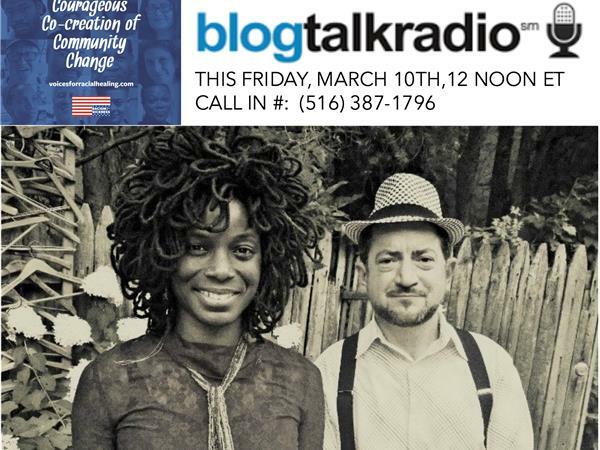 We'll talk about their 5+ year collaboration and themes of love, struggle and healing in their music. Bethlehem, a singer, songwriter and self-described "vocussionist," was described as “Germantown’s next rising star” by WHYY/NewsWorks Philadelphia after the release of her first solo album, “Bigger Than Music”. Sad Patrick, a singer, songwriter and multi-instrumentalist, was kicked out of the Calliope School of Folk Music when he started using “jazz” chords. The duo, and their songs about love, love lost, and love that is better off lost, have won audiences over at notable performances at genre-spanning events throughout Philadelphia and beyond.